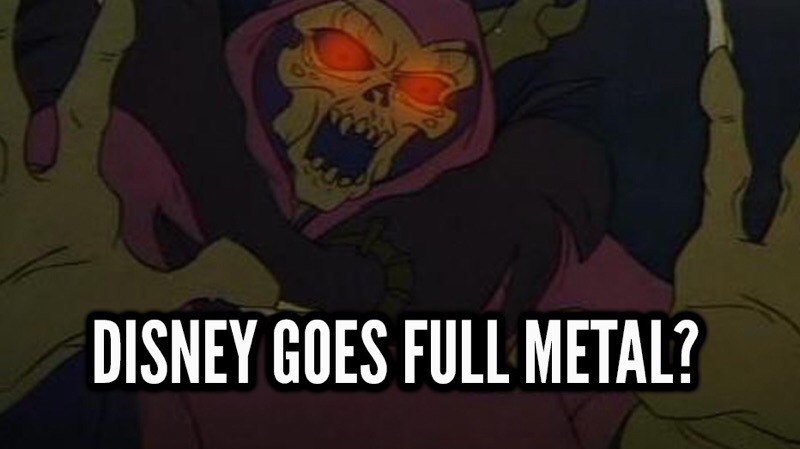 Home » Blog » COULD THE BLACK CAULDRON BE THE MOST METAL DISNEY MOVIE EVER? COULD THE BLACK CAULDRON BE THE MOST METAL DISNEY MOVIE EVER? As a Metalhead, no doubt all of you will face the day to day struggle of finding the most Metal thing. Whatever it be, any form of subgenre, we as Metalhead’s seem to have an innate want to turn it into something that will be as Metal as possible. With this in mind, I set about to find the most Metal Disney film of all time and I think I found it. Hardly the Metalhead’s go to, the Disney movie is something that no doubt many of us will have loved in our youth before renouncing our faith of the modern world and turning to the often (better) dark side. It seems fitting then that the house of mouse would craft The Black Cauldron. Released in 1985, the film tells a tale of Taran and his pig but most importantly an evil, if not the most evil children’s villain that is The Horned King. I mean it was meant to be really wasn’t it. your childhood to be unabashedly ruined by The Horned King and his hordes.